Boston. 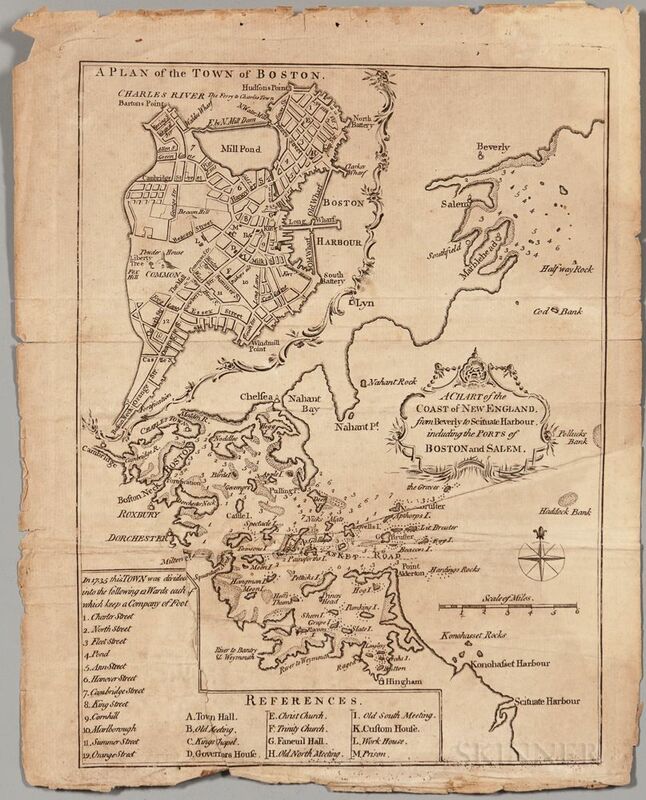 A Chart of the Coast of New England from Beverly to Scituate Harbour, including the Ports of Boston and Salem. [from] The London Magazine, May-June 1774. 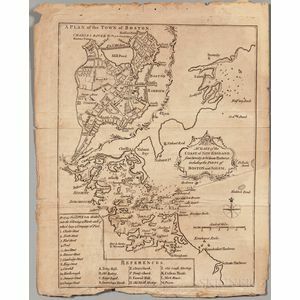 Folding engraved map removed from the London Magazine on the eve of the Revolutionary War, uncolored, edges slightly crumpled, old folds, 10 1/2 x 8 1/4 in.